91. How will you price an RDA project to a customer? How the business process flows. How complex the interactions between these applications. Once we know all these then we will work out the number of bots to be deployed and estimate the cost for each bot to develop and deploy. This is how we do at a high level. Usually based on the complexity involved the project may go anywhere between 6–12 months. 92. What is UiPath Automation? 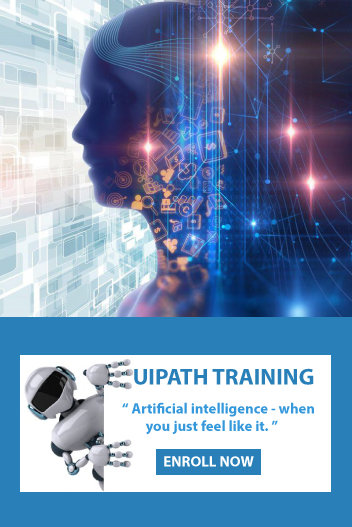 Uipath is the vendor for the leading automation process of robotics. It actually helps in providing a software platform which will help in an organization like automate business. The main objective of the software robot is to help in the manipulation of the application’s layer of presentation like the way any human will do. 93. When would you choose System Integration over RPA? I would prefer system integration if the return on investment (ROI) is better than deploying RPA. But you will find only a few projects which will have that scenario. If you are working in the local environment and have similar kinds of platforms/software, try for system integration. System Integration will mostly require full access to the back end scripts and the timeline for deployment is most likely higher than RPA. If you are in back office operations, then you may find multiple platforms like legacy, GUI, and web-based all being used together. This creates complexity to system integration. On the other hand, RPA software is platform agnostic. They could be configured from front end also with any kind of platform. The timeline is lesser and it’s easy to train or find RPA developers. Thus it’s a preferable choice to go with RPA. RPA also known as Robotic process automation which a type of application related to technology that will help the employees working in some company to construct any software or maybe a robot that will help to capture and help in understanding the application which is used for manipulating the date, transaction processing, communication and for triggering responses. 95. How do I assess the processes for RPA and calculate FTE saves? Regarding the Full-Time Equivalent (FTE) savings, the concept is rather simple. You need to determine how long it takes for an employee to complete the transaction currently, and estimate the time it will take a bot to complete the same transaction. The time savings per transaction completed multiplied by the number of transactions will give you the figure you need. Note the above is meant to be a quick back-of-the-envelope calculation of the FTE savings. Also, the challenge when calculating the FTE savings (prior to implementing RPA) lies in justifying and validating the assumptions you have made. 96. What does the Accuracy property represent in the Click image activity? 97. How do you deploy the UiPath tool? 98. In UiPath studio, how elements are recognized on screen? 99. Describe the Lifecycle of RPA? 100. What does Publishing mean in UiPath Automation Studio?